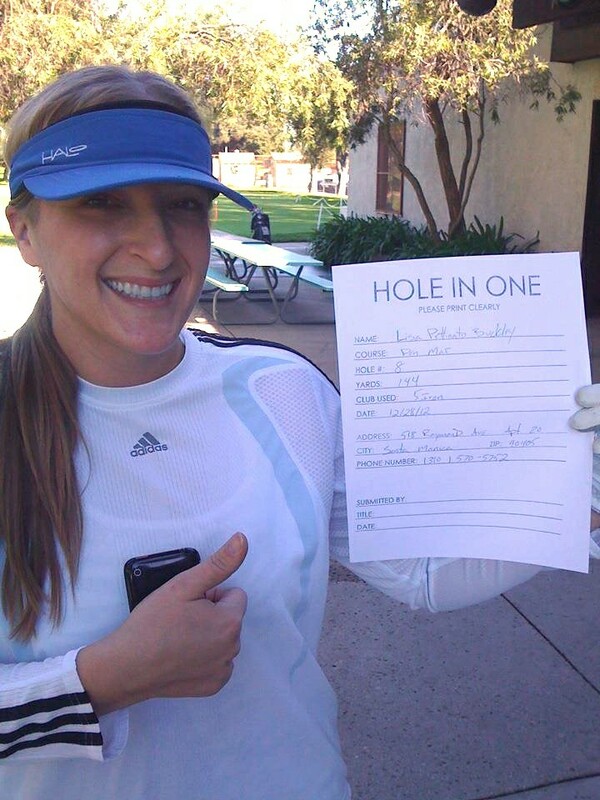 Lucky Golfer: Hole in One During First Round Ever Played! - Yo! Venice! Home Neighboring Communities Lucky Golfer: Hole in One During First Round Ever Played! Lucky Golfer: Hole in One During First Round Ever Played! On Friday, December 28th, Lisa Pettinato Buckley went to the Penmar Golf Course with her husband Bill Buckley and friend Rachel Ramos to play her first round of golf. Having had two visits to the driving range over the past month and some pointers from her husband, Lisa “felt pretty solid making her first trip out”. 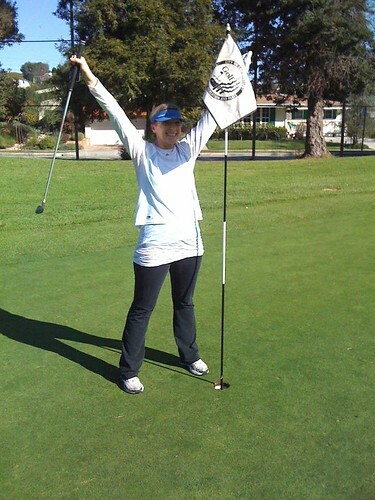 On the 144 yard eighth hole, Lisa hit her very first “hole in one” using a borrowed 5 iron! Not bad for her first time out, and she had two witnesses! Most people golf their whole lives and never get the elusive hole in one! “We’ve been married for almost two years” Bill Buckley said, “she never ceases to amaze me”. Congrats to Lisa! Hopefully there were not too many people in the clubhouse when she got back, as tradition says the person that got the “hole in one” needs to buy everyone a drink!